Twenty years ago I discovered the book as an art object and a little later on the craft of bookbinding. 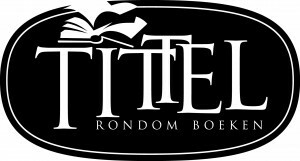 ‘Tittel, about books’ is the name of my bookbinding studio and everything here is literally about books! All my life I have been crazy about books and paper and have I loved doing creative work. Besides bookbinding I’m also into graphic art so I can illustrate my bindings with my own art work. Two passions coming together in one single object. A good genetic mix has given me a great variety of activities during my whole career but the main point has always been: teaching, passing on information to others. Evidently a dominant gene because I have been teaching creative bookbinding for over 15 years. My aim is not only to teach people the techniques of bookbinding but also to stimulate their enthusiasm about working with books and give them confidence in their own creative talents. That’s what so wonderful about teaching. I try to encourage creativity along with accuracy by teaching the precision method which I developed over the years. When my teaching results in something like the Boekbindcollectief 14x14-project I cannot but feel very happy about it. The emphasis rests on creative binding but this does not mean the making of untidy books. Which often happens when one works with craft knife, ruler and pencil. However, the unique cutting method I developed, initially for lack of professional tools, results in neatly finished books. The tools you need are available at any hardware or art supply store. Some of them you may have already. The system is easy, logical and once you are used to it you will never go back to pencil and ruler. I notice this with my students all the time. Their being so enthusiastic about it made me want to show this method to as many people as possible. Hence the idea for a video. It is an 80 minute lesson, all techniques are shown. It consists of 12 chapters with full views and close-ups which you can watch at your leisure. At present only a DVD is available, in English or Dutch. However the film is recorded in HD and the possibility of streaming and/or downloading will be available later on. Essentially, what this method is all about is measuring and cutting paper, so it can be used by anybody working with paper in some way or another: graphic designers, photographers, calligraphers, bookbinders etc.